1. Digitalization – changing the future of manufacturing. Seminar was conducted for 2 days with eminent speakers from educational institutes and from Industry has presented their papers on various topics like, flexible automation in SMEs, role of IIOT, role of automation, 3D printing etc. First day focused on digitalization while second day focused on Industrial IOT. 2nd day also mark the celebration of 116th birthday of Er K L Rao, who served as the Union Minister of Irrigation & Power and Member of Parliament for Vijayawada from 1962 to 1977. Top 3 papers were chosen and awarded certificates and memorial of Er K L Rao. Our Honorable Director of SIBM Hyderabad, Dr. Ravi Kumar Jain was the guest of honor on second day where he promoted the need of engineering skills attached with management so that organizations and factories can fall in place with better management. Guest faculty Dr. A J Reddy was the convener of seminar. 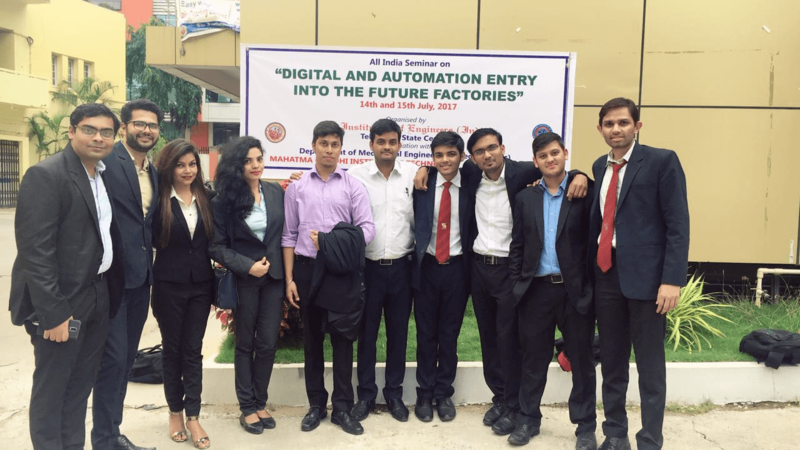 Operations management students of SIBM, Hyderabad participated in the seminar to learn the rapid changing requirements of the industry and update their knowledge on new technology. 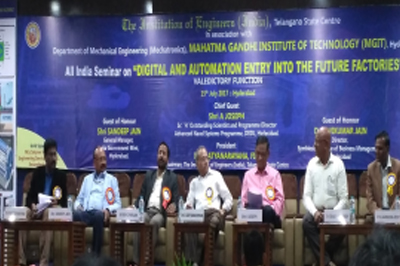 Various honorable people from industry were called for their insight on digitalization and automation. Shri A Joseph from advanced naval systems program DRDL, Hyderabad, Shri Sandeep Jain, GM, India Government mint, Er G Rameshwar Rao, Hon. Secretary, IEI, TSC with Dr S Satyanarayana, Chairman, IEI, Telangana State Center and other honorable names presented their views on seminar. The seminar ended on a note of importance of digitization and automation in future factories in India and what road lies ahead. Dr. Rajkumar Pillay Faculty of Operations and Analytics, SIBM Hyderabad has encouraged and guided us for the entire two days seminar.